It's exciting to be living in an era of television where we see more and more clever women gracing our TV screens -- especially ones who look and act like us. But at the same time, there seems to be a growing attack on femininity in the name of progress. And that's why Mindy Kaling's brand of feminism is becoming increasingly important. We are undoubtedly living in the age of Mindy Kaling. 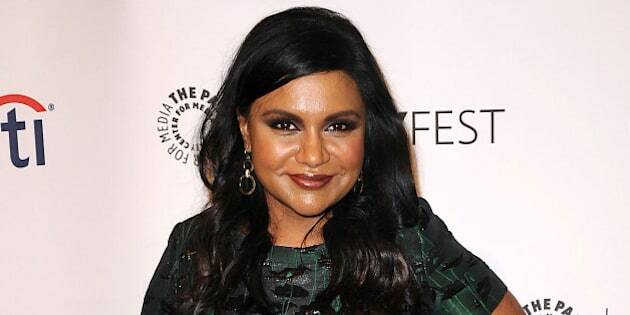 She's one of the most recognizable and growing names in television, and her self-titled show, The Mindy Project, just wrapped up a successful second season last week. It has proven to be a show filled with quippy dialogue, likable characters and subtle, if not brilliant, social commentary. Likewise, Kaling herself has proven to be a rising celebrity whom is equal parts charming and surprisingly forthcoming about "uncomfortable" Hollywood topics like beauty and race. Kaling is certainly part of a growing (and refreshing) trend of female comedians who write, produce and star in their own shows. We excitedly tend to label shows like Lena Dunham's Girls, Amy Phoeler's Broad City and Amy Schumer's Inside Amy Schumer as the Hip Feminist Comedies of our time. And rightly so -- they're sharp, uncomfortably honest and often, delightfully crass. Tragically, though, we don't seem quite as eager to grant Mindy Kaling the same feminist credibility. But it's important that we recognize why Mindy Kaling's feminism is unique and equally worthy of discussion: It doesn't ask women to act more like men, but simply to be themselves. Kaling crucially demonstrates to us that "ultra-feminine" and "ultra-capable" are not mutually exclusive qualities in women. Mindy Lahiri, the character Kaling plays on her self-titled show, is a seemingly less self-aware main character than Lena Dunham's Girls, Hannah Horvath. Hannah is a gifted yet pained young writer whose raison d'être is simply to live a life full of #authenticity and #classroomfeminism. Contrast her with Mindy Lahiri: a successful doctor, but one who considers TMZ "the media" and is uncontrollably attracted to all things pink and Michael Fassbender. And perhaps this is why we're less likely to consider The Mindy Project an equally feminist show as Girls. We expect our feminist protagonists to "rise above" gender stereotypes. To act more "typically" masculine: more sexually explicit, more candid, less naïve about both the world and themselves. If we look at Amy Schumer's Inside Amy Schumer, we see a similar phenomenon regarding how we view "girliness." Her skit "I'm So Bad" brilliantly calls out the outlandish narrative surrounding women, dieting and food. And while the skit is admittedly hilarious, what it's really doing is stabbing at the "vapid woman" archetype. Schumer does a good job to ensure the skit is light-hearted, but often in female comedy (we see this in Girls as well), there's a thin line between jokes about women that are snarky and ones that are slightly self-loathing. In comparison, The Mindy Project doesn't mock girl culture; it embraces it. It uniquely recognizes that women exist in multitudes and that by labeling stereotypically feminine attributes as lesser, we are signaling to young women that there is no room for "girliness" to exist alongside intellect. That girls who say "I can't even" or "I'm soo bad" can't also be our doctors, our lawyers our teachers or our mentors. Amy Phoeler's new show Broad City tends to be a bit more like The Mindy Project in its approach to celebrating the silliness and capability of different kinds of women. But even this hugely clever show relies on some tired comedic tropes. There is a scene in the first season where the two main characters, Abbi and Ilana, are openly gawking at a group of men playing basketball. Both women are very obviously staring at the crotches of the various guys and are ultimately asked to leave because their presence is making the men uncomfortable. The scene is a clever commentary on reverse objectification and although it's funny, it implicitly tells us that empowerment for today's women resembles replicating the behaviour we often admonish in men. Kaling seems to understand this. There was an episode of The Mindy Project where Mindy attempts to "act like a bro" in order to deal with a romantic situation. In the end, she predictably learns that she's always better off without changing her own behavior to be "cooler" -- which in this case means more masculine. A cliché message but an important one: It signals to us Mindy is okay with who she is -- slightly obsessive, a little needy, but still entirely lovable. Predictably, the messages Mindy Kaling displays through her show are also consistent in her public persona. She recently joked with Jimmy Kimmel about the hilarity of Hollywood condescendingly trying to frame her as a shining example of the "changing beauty ideal." And she has also been outspoken about her status as the first woman of color in the United States to star in her own network show -- but perhaps not in the way you might expect. She has astutely pointed out that because she is an Indian-American woman in a field still dominated by white men, racially-based questions and assertions still dominate interviews and discussions. And while The Mindy Project certainly isn't perfect (there have been many critics of Kaling's lack of minority characters and exclusively Caucasian love interests), Mindy's honesty about her race and body is refreshingly authentic. Particularly in an industry where women who are viewed as "different" or "groundbreaking" are unfairly expected to be constant champions of those differences. It's exciting to be living in an era of television where we see more and more clever women gracing our TV screens -- especially ones who look and act like us. But at the same time, there seems to be a growing attack on femininity in the name of progress. And that's why Mindy Kaling's brand of feminism is becoming increasingly important. It teaches us to be inclusive of one another as women. That it's okay to be girly. That your value is not diminished simply because you don't fit someone else's mold of an intellectual. Or an athlete. Kaling and The Mindy Project wisely show us that women have the right to be nuanced, complex and even confusing. And perhaps that's what makes this simple idea the most powerful feminist message of them all.